Portland-based photographer Neil DaCosta has got a cheeky sense of humor. 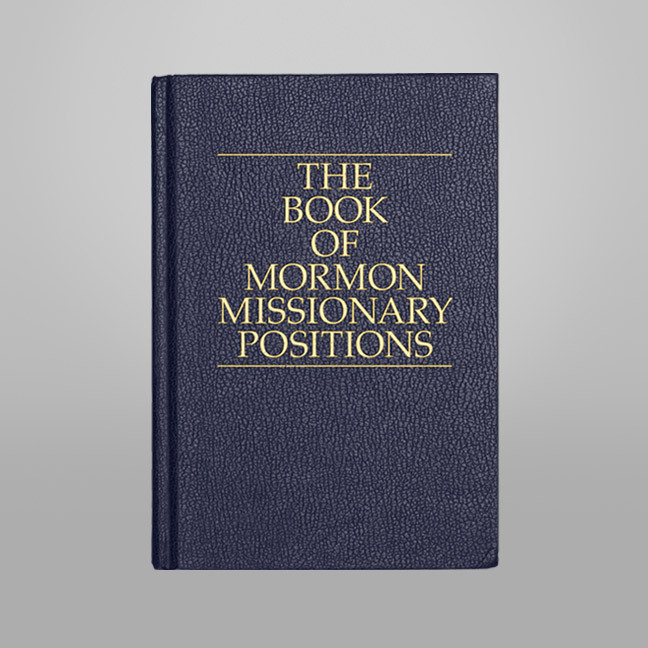 Working with Art director Sara Phillips, he's produced The Book of Mormon Missionary Positions, a tongue-in-cheek critique of religion and sexual politics. 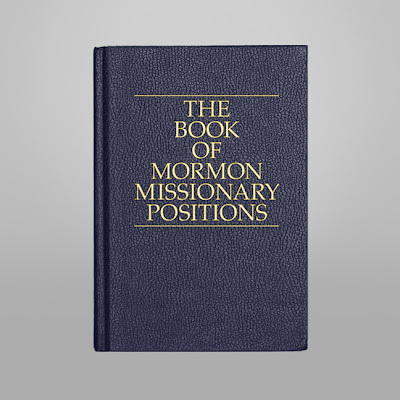 DaCosta refrains from making any personal political commentary, but the dedicated website makes clear the intention by juxtaposing a frighteningly antiquated excerpt from the Latter Day Saints handbook with images of two men demonstrating sexual positions. From the LDS handbook - "Sexual relations are proper only between a man and a woman who are legally and lawfully wedded as husband and wife. Any other sexual relations, including those between persons of the same gender, are sinful and undermine the divinely created institution of the family. The Church accordingly affirms defining marriage as the legal and lawful union between a man and a woman."